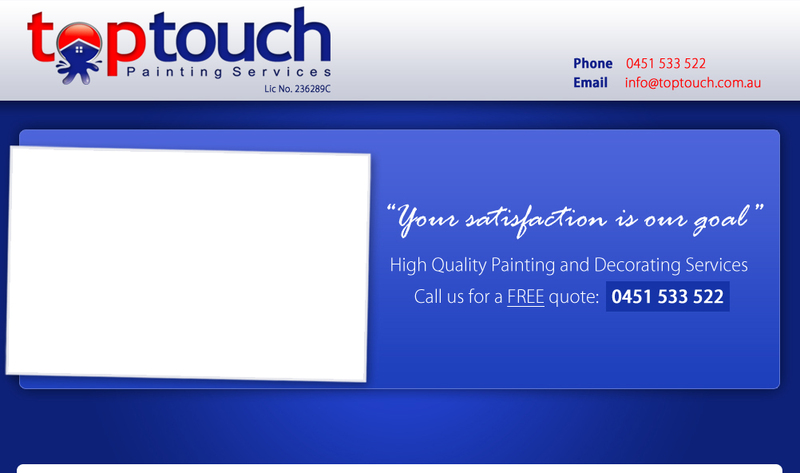 For a painter Chatswood contact Top Touch Painting Services who bring thirteen years experience to every job. We do everything from touch up jobs to painting newly constructed properties. We don’t just do residential properties, we also specialise in interior and exterior paint jobs for commercial and industrial properties. We are the friendly and helpful professionals that only use the latest painting technologies and techniques. Our paints are not only durable but also environmentally friendly. We are certified Green Painters and know the importance of using products that are environmentally sensitive. We are also member of the Master Painters Association of New South Wales. We are an honest, fast and affordable service that pride ourselves on our craftsmanship. We believe it is important to communicate with our clients as much as possible so we work with you every step on the process to ensure customer satisfaction. Call us on 0451 533 522 to organise a free site visit so one of our friendly professionals can give you a detailed estimate on costs.